This church might ring some bells (pun intended) to any fan of Netflix's brilliant Sense8. 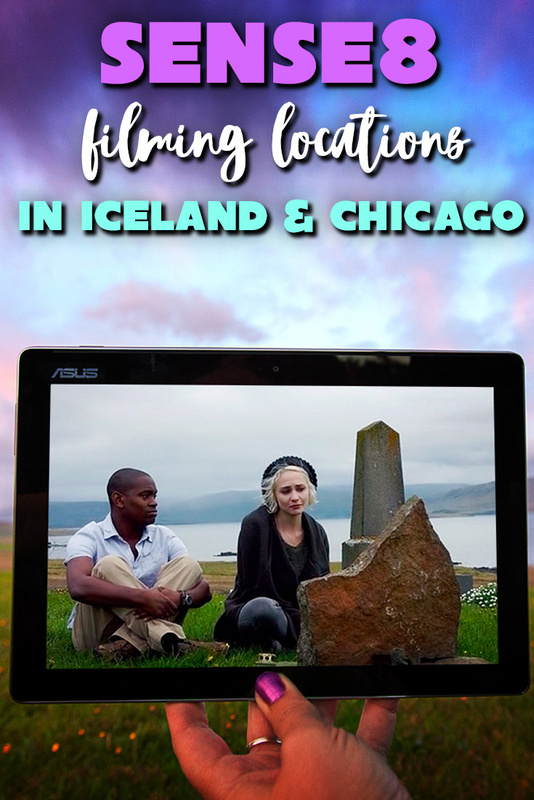 During our movie roadtrip 2016 we managed to visit Sense8 filming locations in Chicago and Iceland. It’s a brilliant, brilliant show by Netflix and you should definitely see it if you’re into great scifi drama. Oh, happy days! The conditions for film touristing in Iceland were the absolute worst, but we managed to hit Riley’s church of sadness during a very beautiful sunset which made it all up. 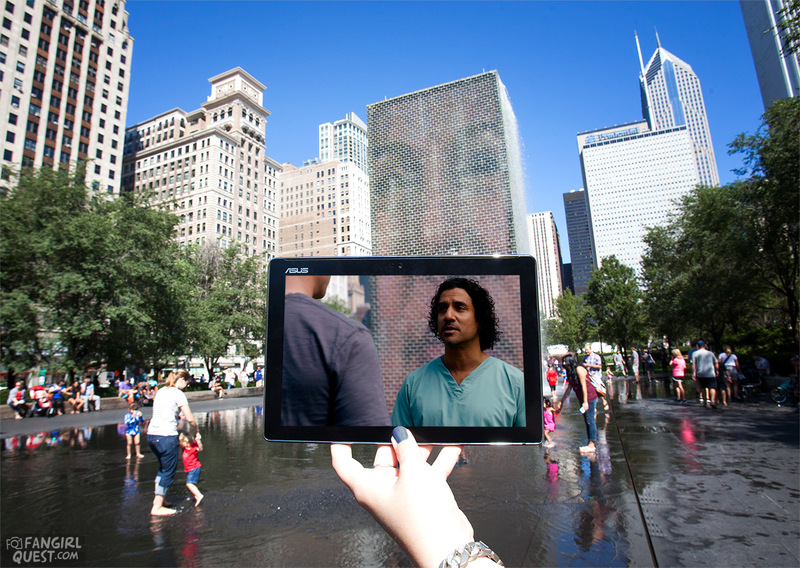 In Chicago, we stood by the fountain (and in it) where Jonas appears to Will and they have a little chat. 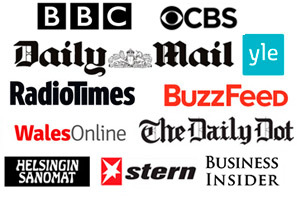 Spoilers ahead – you have been warned! 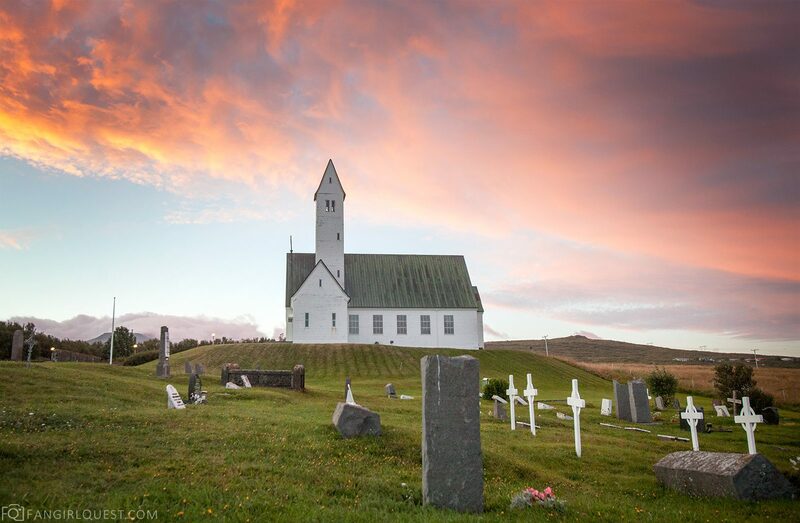 Riley visits a grave in Iceland, Capheus turns up to comfort her. In celebration of Sense8‘s Christmas Special (now streamable on Netflix! 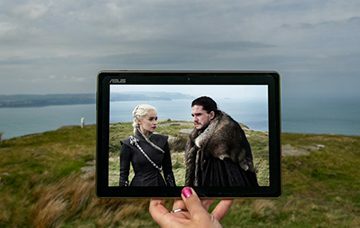 ), here’s a list of a few locations we know of plus our photos and sceneframes from wherever the weather allowed us to take some. 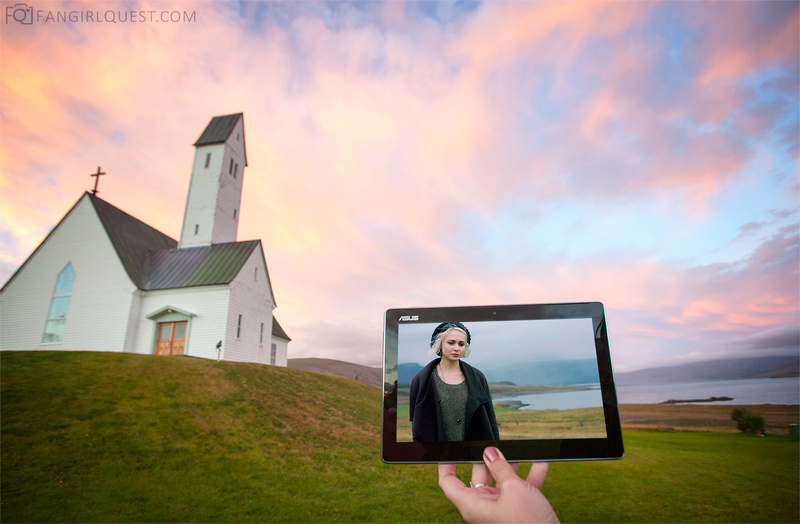 In episode 7, Riley arrives to Iceland and is greeted by her father. 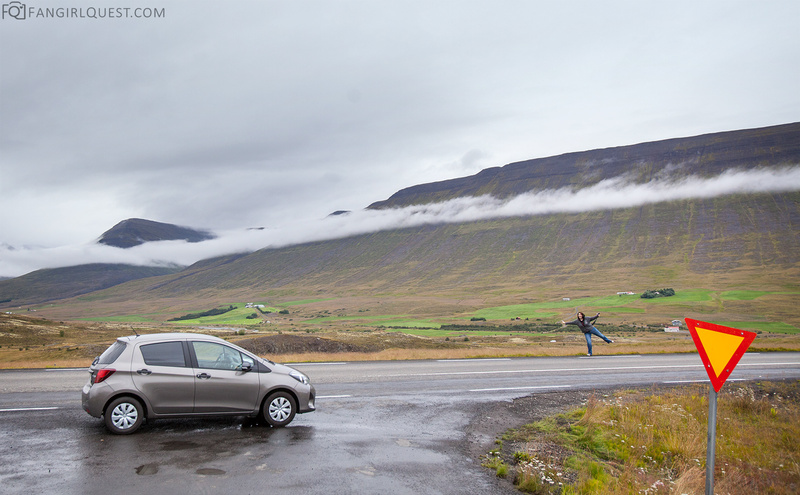 In episode 12, Will picks up a rental car at the Keflavik airport. 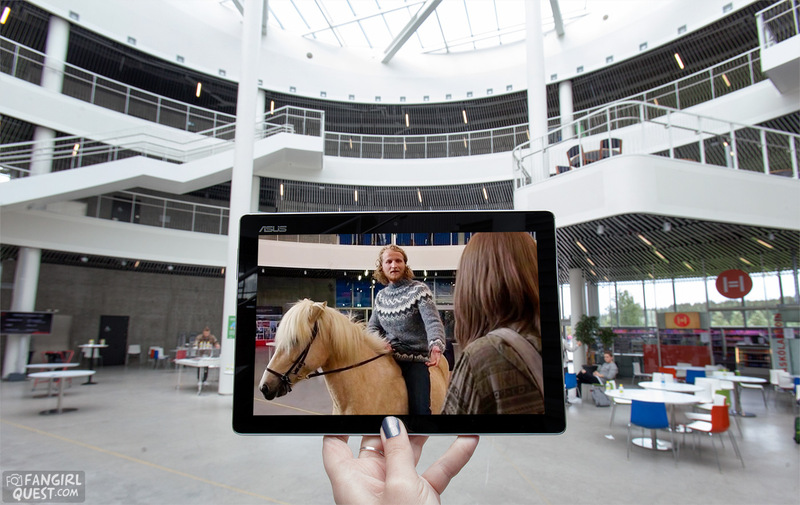 In episode 9, Magnus rides a horse into Riley’s university, a hugely romantic gesture that Riley thinks back on once we start to learn about her backstory. Magnus comes to pay a surprise visit to Riley on a horse. There’s another scene that takes place in the University: it’s where Riley’s father plays the piano to her mother in a flashback in episode 10. 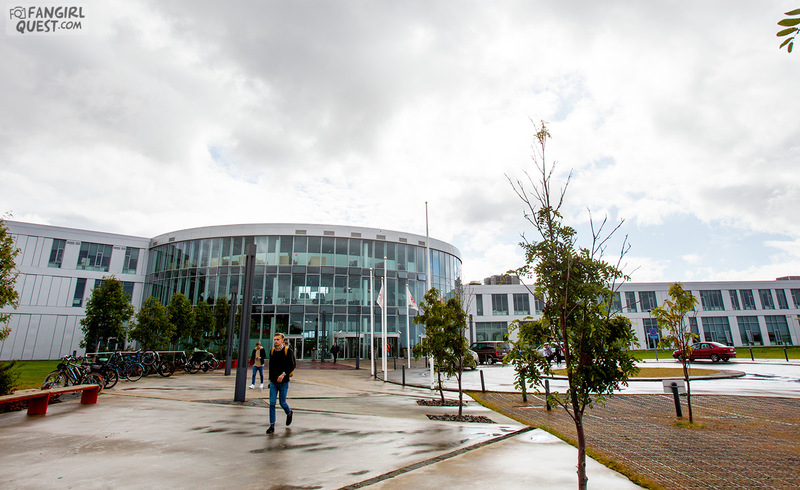 Sense8 filming locations in Iceland: Riley’s University. During the tragic events of episodes 9 and 12, this is where Riley and her baby struggle to survive, and in episode 12, Will and Riley drive up the same road while escaping the helicopter. 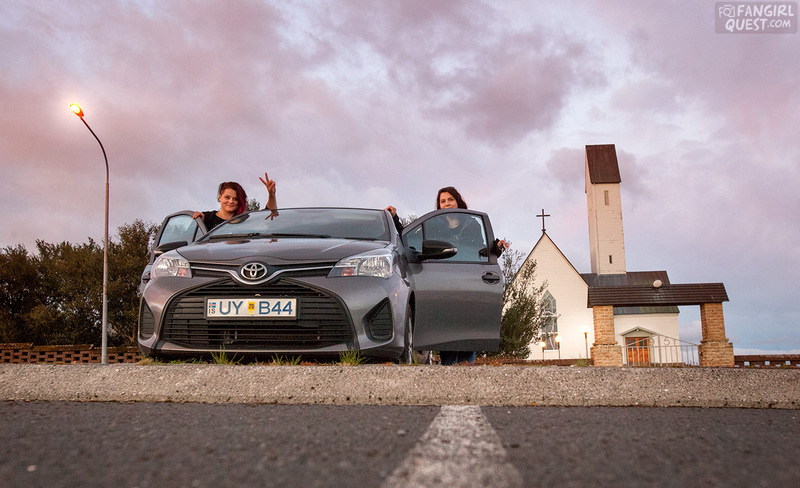 We tried our hardest to find this place and sceneframe it, but the road conditions weren’t too good for our tiny rental car. We did, however, see a lot of the same roughness of nature during our 4-day roadtripping around the island. Satu dorkying it up in Iceland. Guest starring: our loyal Sixt rental car. Riley’s father performs with an orchestra in the Harpa Concert Hall in Reykjavik in episode 10. Riley goes to see her. Sadly, we couldn’t access the hall for photos. This is where Riley and unconscious Will get on Sven’s boat to escape the baddies in episode 12. We took the whale watching cruise from a dock nearby but didn’t have time to look up the boat departure spot, boo! 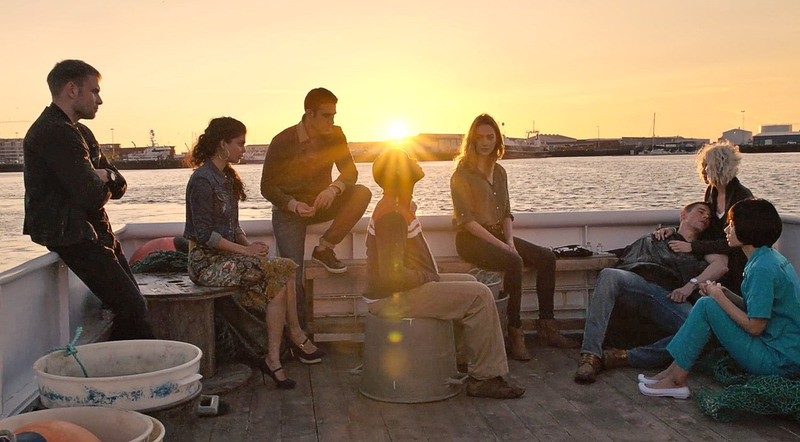 In the final episode of season 1, all of the characters appear on a boat when Riley’s taking Will out of Reykjavik. We tried finding a place where we could’ve sceneframed the below photo, but it was impossible thanks to the busy docks and buildings. Sensates in the Reykjavik sunset. In episode 12, Riley is being taken to the facility through the Hvalfjörður Tunnel. We drove through it several times during our stay and boy… it truly is one of the most impressive tunnels we’ve ever driven. Deep, long, sort of scary, but also a super cool roadtrip experience. 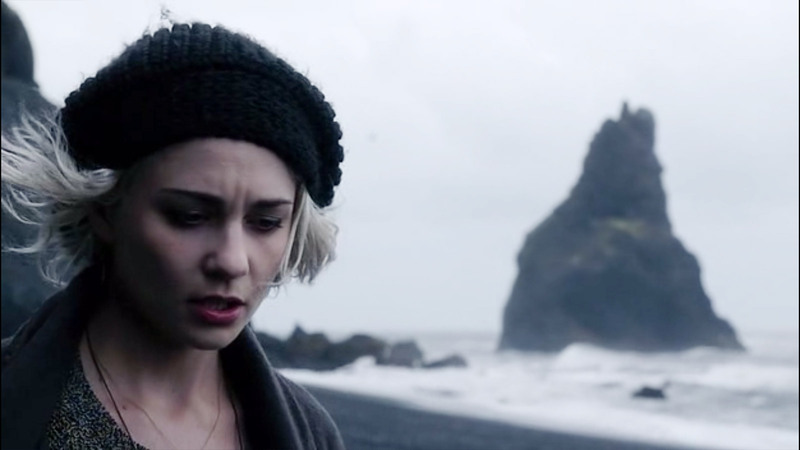 In the first episode, Riley walks along the Black Sand Beach in Iceland. 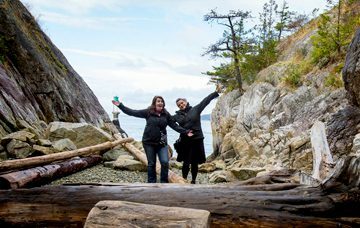 This beach is a famous and quite popular filming location for many things, including Noah and Star Trek: Into Darkness along with Sense8. Our visit turned out to be a challenging ones: it was simply impossible to sceneframe anything thanks to the massive waves, splashes, rain and wind. But we were still happy we went. It’s quite an unforgettable experience, standing on the black sand and listening to the sea rage. 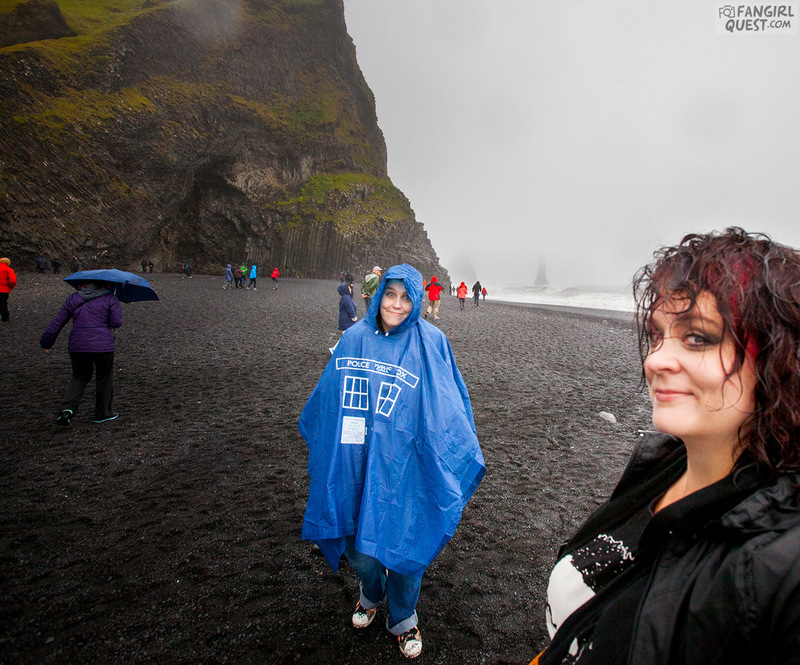 Film tourists enduring the Iceland weather on the Black Sand Beach. 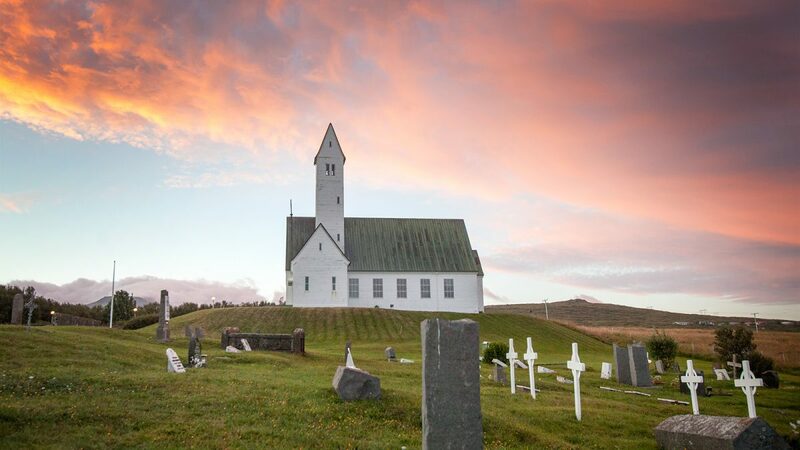 The white church in Iceland seen on Sense8 was one of the trickiest ones to find, but we managed with the help of our usual assistant: Google image search and street view. It’s called Hallgrímskirkja Saurbæ and it’s located not far away from the Hvalfjörður Tunnel. We managed to visit during sunset, which turned the whole sky and the beautiful scenery into this candy colored amazement. Riley visits the grave at the white church in Iceland (Hallgrímskirkja Saurbæ). This church might ring some bells (pun intended) to any fan of Netflix’s brilliant Sense8. Parked outside the Sense8 in Iceland. Holla! In the pilot episode, this is where the whole drama unfolds with Angelica. We wanted to visit, but due to unfortunate traffic, distance of accommodation and all kinds of other roadtrip related complicated, didn’t manage after all. And by the looks of it… it doesn’t look like a very inviting place to go into, to be honest. 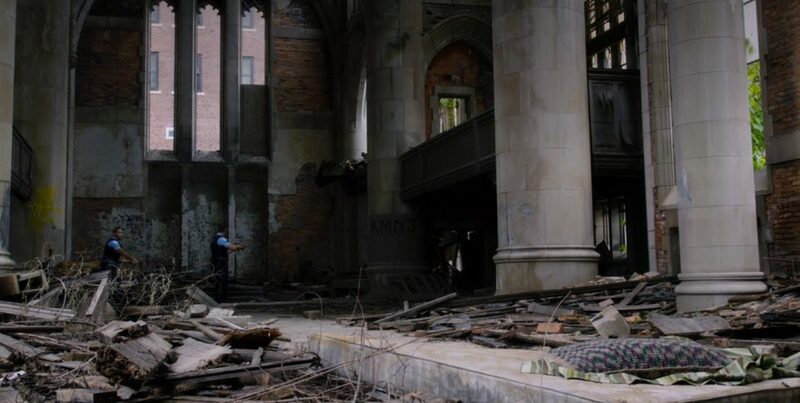 Will and Diego investigating Angelica’s church. Will and Riley meet for the first time. This is where Jonas appears to Will and they share a moment talking. 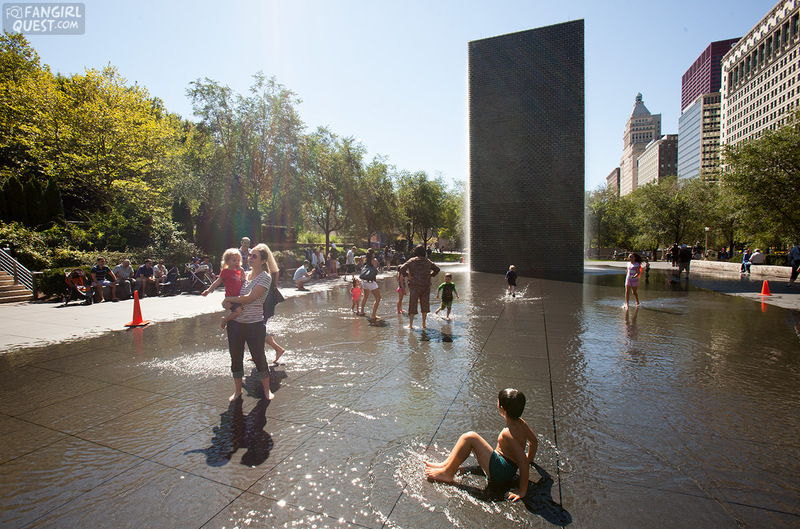 It was a stunning sunny day when we went, with kids splashing around in the water and us film tourists soaking our tired feet in the cool of it. Loved this! This is where Will brings the child that was shot in episode 1. In episode 2, we get a glimpse into Will’s life as he deals with his father in this bar. 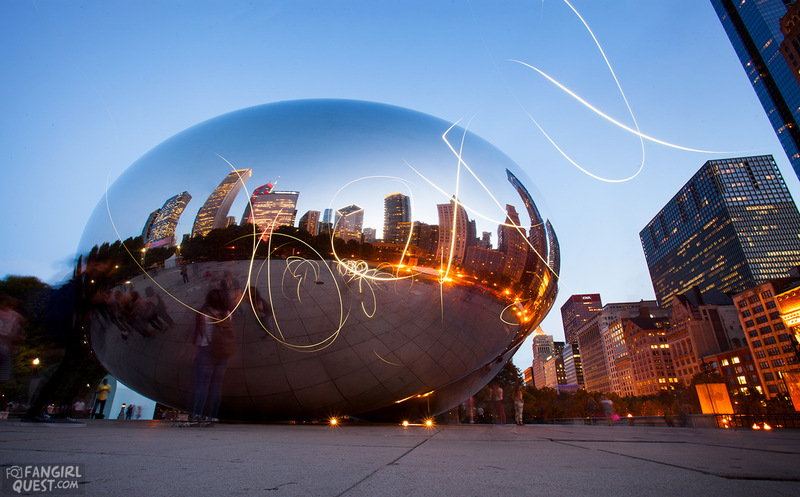 This beautiful landmark appears in the opening credit section of Sense8 along with about 107 others around the world. There’s a super cool list of all of them on tvtrippin.com. We had fun playing around with long exposure shots and the lights in our cellphones. Results below. Cloud Gate AKA the Bean in Chicago. 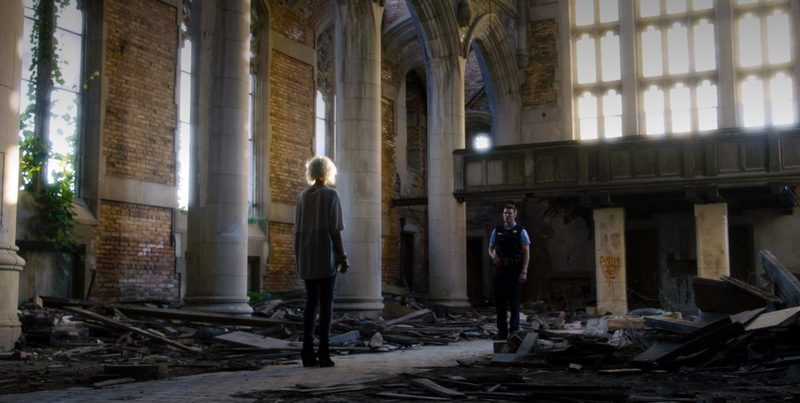 The UIC police station appears in several episodes of Sense8. It’s where Will is based and where several scenes take place, including events in episodes 1, 2, 5 and 8. Diego and Will at the police station in episode 5. 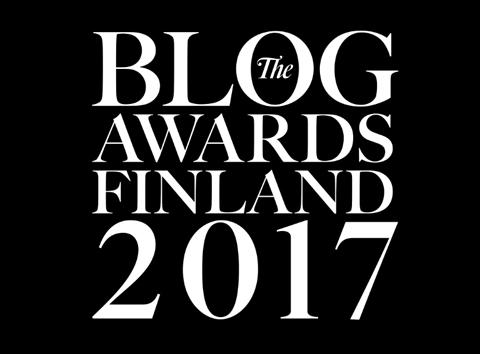 Another spot for Will’s and Jonas’ talks. We meant to visit this store but again, ran out of time. It’s located on Milwaukee Avenue and the events take place in episode 2. 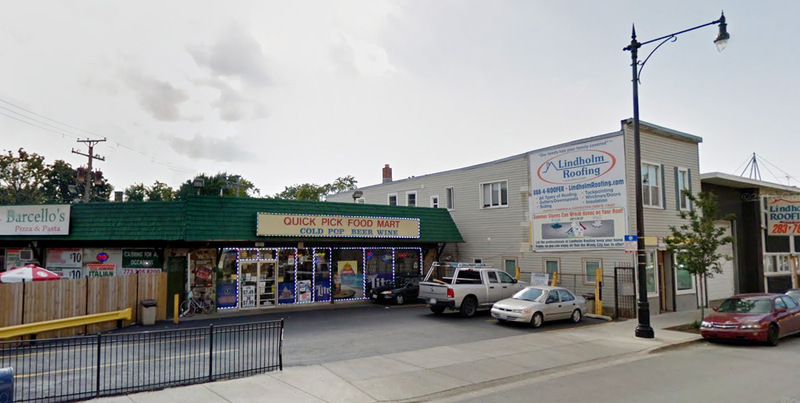 Will and Jonas meet up in this store in Chicago. Big thanks to Moviemaps.org! Without you guys our work would be so, so much harder. You can check out Moviemaps’ Sense8 location list on their website. Share this post with your pals! Photographer, illustrator, graphic designer, copywriter, marketing assistant. I once traveled across North America in flipflops. I love dogs, ketchup and many inspiring people. Visit my photo portfolio here. 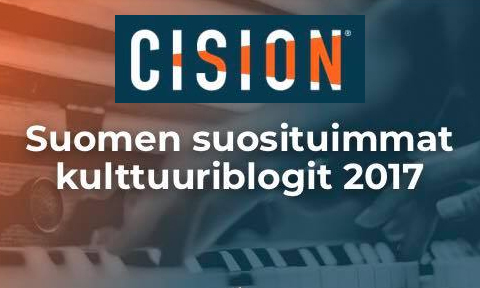 Tiia, Finland – Tija, Estonia. Nice to meet you! I am in Iceland right now (: I seem to have lucked out on the weather a bit more though, the day I visited the Reynisfjara beach was absolutely gorgeous. Halfway through my trip, the church will be one of the last stops! 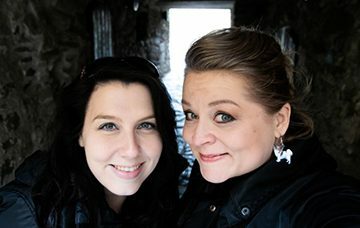 My wife and I are big Sense8 fans and in Iceland! Thank you for the great list of where to go to see filming locations! Yes please! Send me occasional travel tips & beautiful photos in a newsletter!